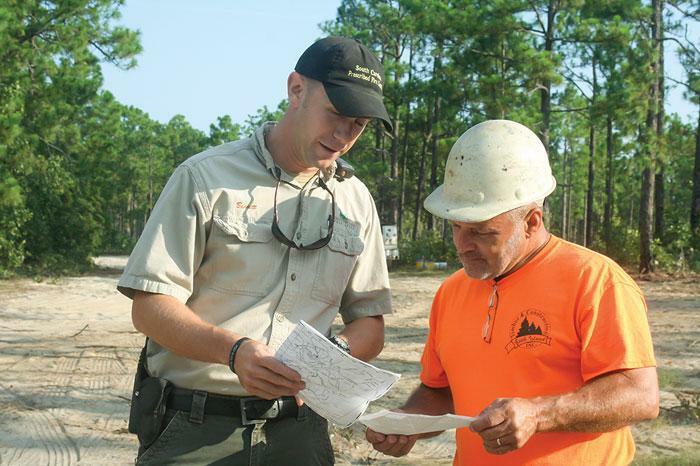 Southern Loggin’ Times October issue spotlights Josh Key’s Beech Island Timber, which made the switch to biomass chipping in 2010 and reports that it was well worthwhile. The Hanna Brothers keep their heads and business above water. Also, Bandit Industries celebrates 30 years in business. Southern Loggin’ Times magazine Managing Editor David Abbott travels to Beech Island, South Carolina to spend some time with Beech Island Timber and Construction, Inc. Beech Island Timber and Construction, Inc. owner, Josh Key, 55, has been in logging since 1983 but made the switch to focus primarily on fuel wood chipping in 2010. “We love it,” he says of chipping. “The first three years, it’s been a nightmare but a blessing at the same time.” Key and his youngest daughter, Shelley Bowman began researching the emerging biomass markets and how they could get involved. 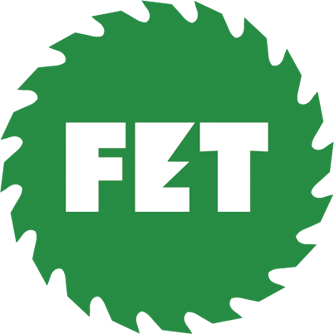 For years, Key had discussed the emergence of the biomass market with his friend Tracy Burttram, head forester for Elliott Sawmilling, one of his current roundwood markets. Both men knew they wanted to be a part of it from the ground floor. With encouragement from Shelley and Burttram, Key started chipping in January 2010, when BCAP was still in place. Southern Loggin’ Times magazine Contributing Editor May Lamar has the opportunity to visit Hanna Brothers Logging in Abbeville, South Carolina. 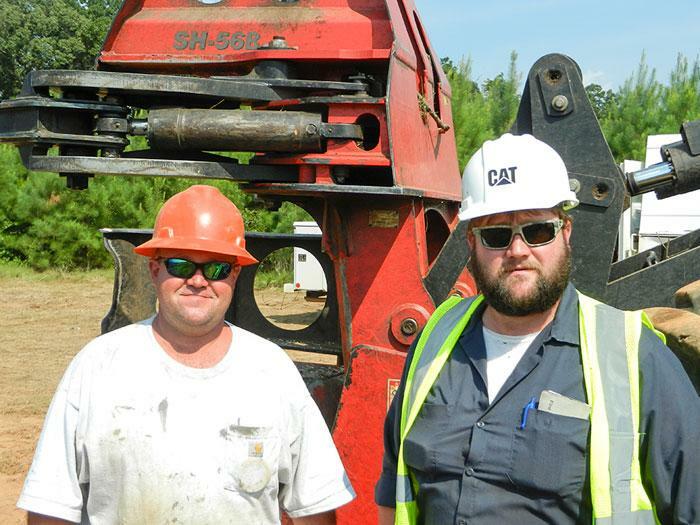 Abbeville natives Ben and Daniel Hanna endured the wettest summer of their eight years in the logging/trucking business, but you won’t hear them complaining much. The two 30-something-year-old brothers are too busy for that. 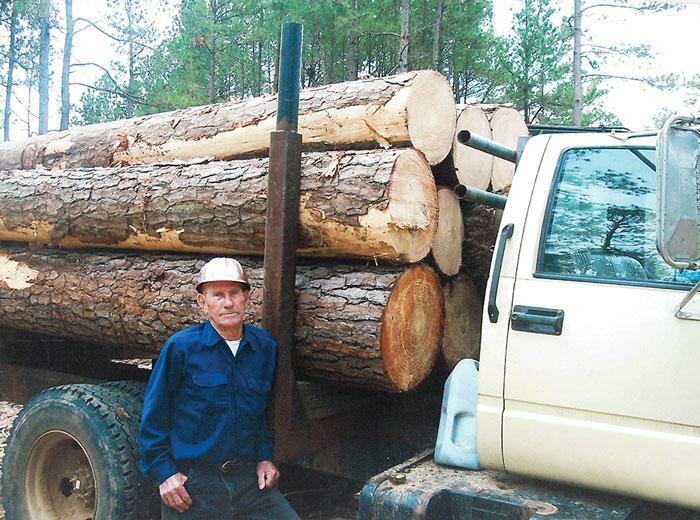 When a sustained break in the rains came in mid-August, they moved 80 loads in five days off their own job, and half as much as contract haulers for a growing number of other logging outfits. The two men operate Hanna Bros. in a lake rich and densely forested region referred to as “Upstate” by people who live in the Carolinas. Ben, the younger of the two, is philosophical about their decision to join the forest industry in 2005, which was just about the time the wheels were starting to come off the economy. “It was bad when we got in and it’s been tough ever since, but we manage.” They manage by managing the bottom lines of two different operations. Southern Loggin’ Times magazine Associate Editor Jessica Johnson travels to Mount Pleasant, Michigan to join Bandit Industries in celebrating their 30th anniversary. 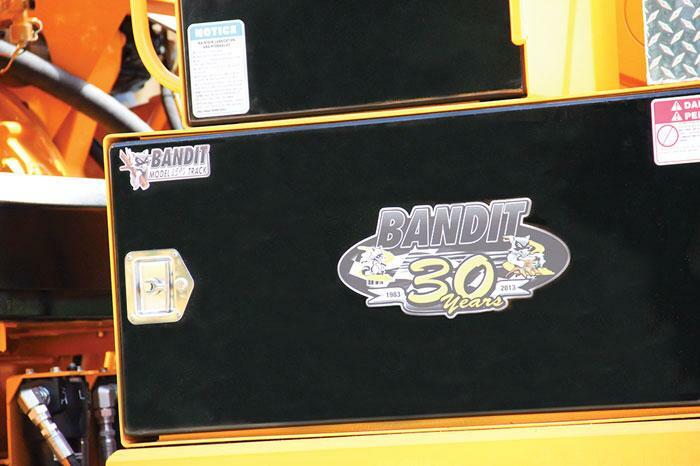 During 2013 Bandit Industries celebrates its 30th anniversary. Breaking with tradition, Bandit held its dealer meeting, normally scheduled every three years, after two years this time. The meeting was organized early as a special point of recognition due to the milestone anniversary as well as exponential growth and considerable product development for the company. In fact, Bandit introduced four new pieces of equipment and technologies during the event. Over 250 dealer representatives from 19 countries assembled for the Bandit Industries 2013 Dealer Meeting, held August 13-15 at Bandit’s headquarters near Mount Pleasant, Mich. President Jerry Morey said the event was about celebrating not only Bandit’s past, present and future, but also the dealers and customers. Southern Loggin’ Times magazine reports on the 2013 Virginia Loggers Association Annual Meeting. 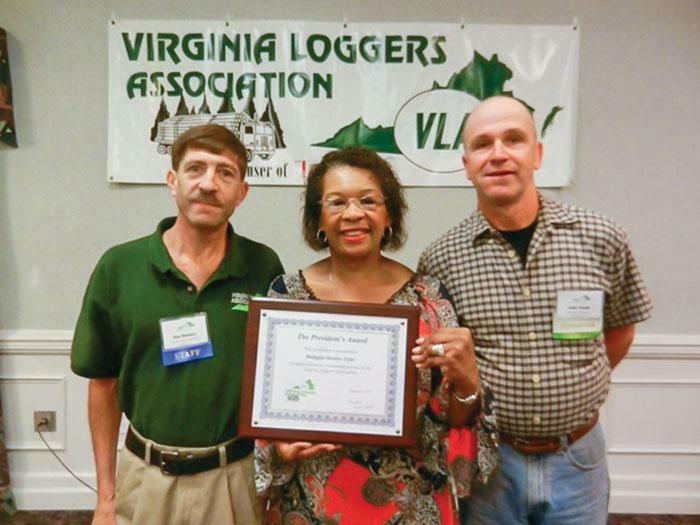 A record 156 members, affiliates, associates and guests took part in the annual meeting of the Virginia Loggers Assn. (VLA) August 25–26 at the Virginia Beach Resort and Conference Center in Virginia Beach, Va. Judd Smith, VLA president, presided. His wife, Carman, headed an active committee in planning and implementing the event. On Friday morning attendees boarded a double-decker bus and traveled across town to the Stihl manufacturing facility, where they were greeted by Bob Hynick, Stihl’s Vice President of Operations. The group was divided into parties of 10 and escorted through the manufacturing facility to view the manufacture of blowers, trimmers and chain saws. The facility had expanded greatly since the VLA group first toured it in 2006. 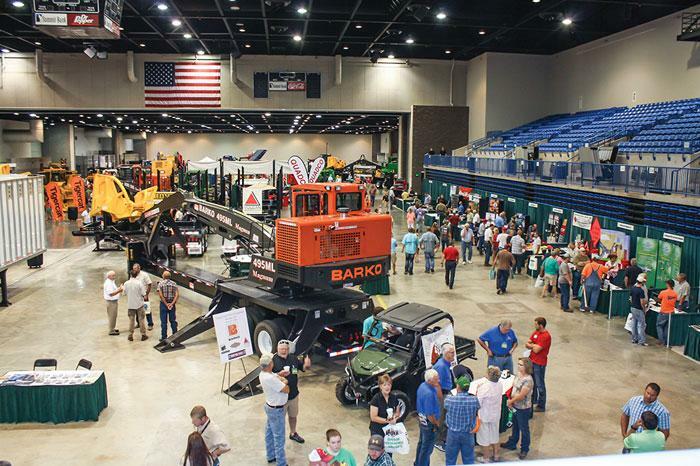 Southern Loggin’ Times magazine covers the 2013 Southwest Forest Products Expo. The mood was upbeat at the Southwest Forest Products Expo, staged August 23-24 at the Hot Springs Convention Center, where loggers, foresters, landowners and equipment and service representatives gathered to talk shop, reconnect and/or make new relationships, support Log-A-Load for Kids, and have a little fun. According to Larry Boccarossa, Executive Director of the Arkansas Timber Producers Assn. (ATPA), which has sponsored the event since founding it in 1999, this year’s show attracted 50 exhibitors and some 1600 attendees, up slightly from the most recent expo (2009). 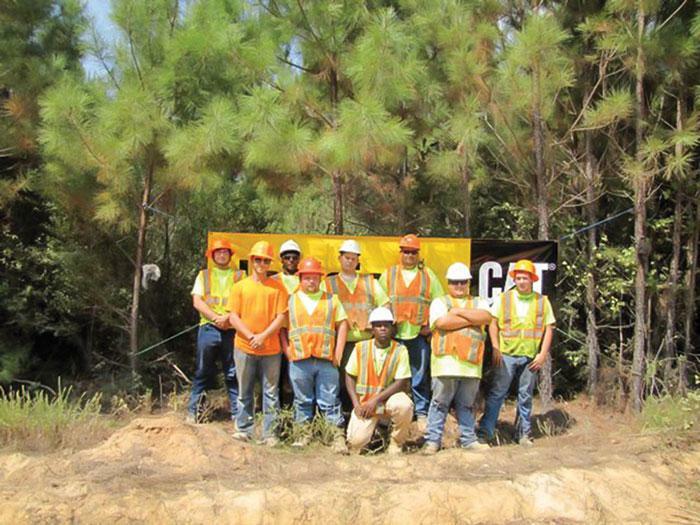 ATPA dovetailed a board meeting with the expo and also offered training sessions for loggers. In a post-expo evaluation, exhibitors indicated the show was either successful or very successful for them. At The Margins is designed to help loggers manage and/or operate their business better. Each month an expert provides information, tips or advice on how to maximize profitability, enhance efficiency or increase business knowledge. This month’s column is provided by Sarah Clausen, the Global HR Director for John Deere Worldwide Construction & Forestry Division. The article is titled, “Succession Planning: Passing It On.” Click here to view the full article.